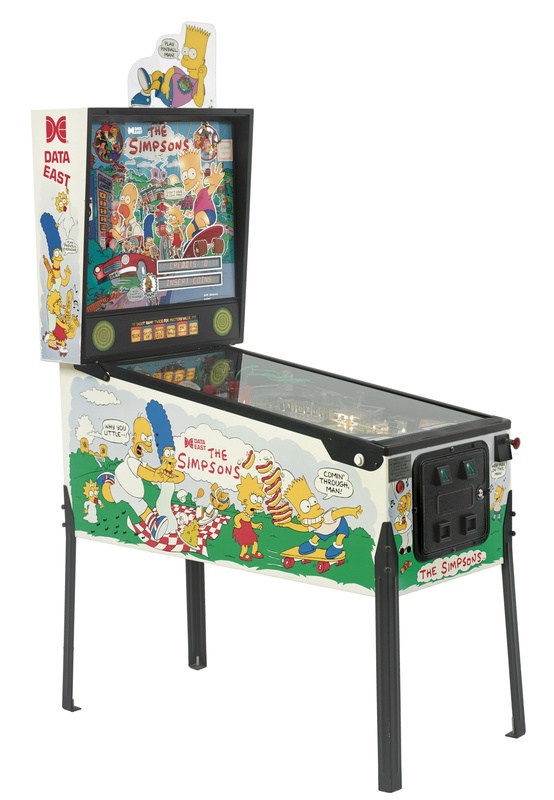 Sotheby's auctioned off a specially created pinball machine from the personal collection of Sam Simon, co-creator of The Simpsons who passed away in 2015. 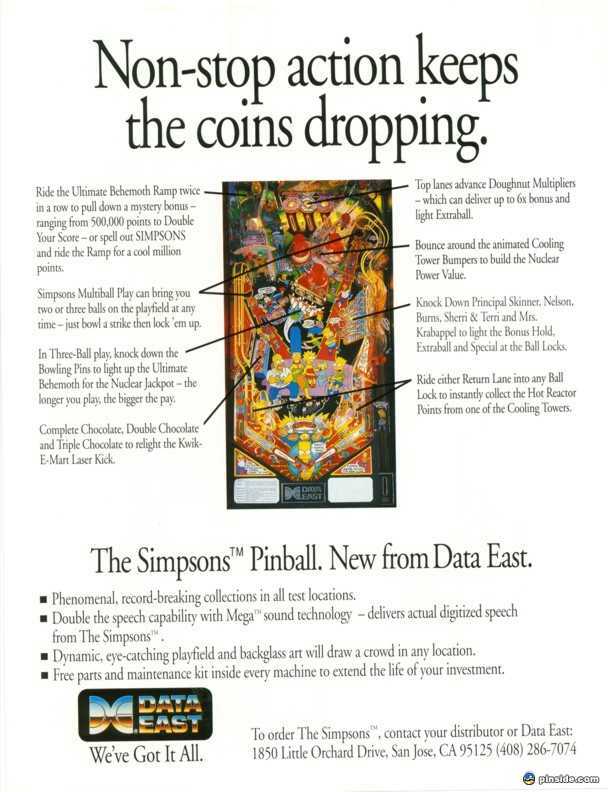 It even included a placard on the machine stating as much. 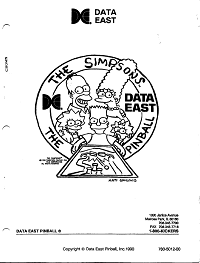 The Simpsons creator Matt Groening gave advice to the producers of the game. The bumpers are dressed as nuclear reactors and several characters from the show function as targets. 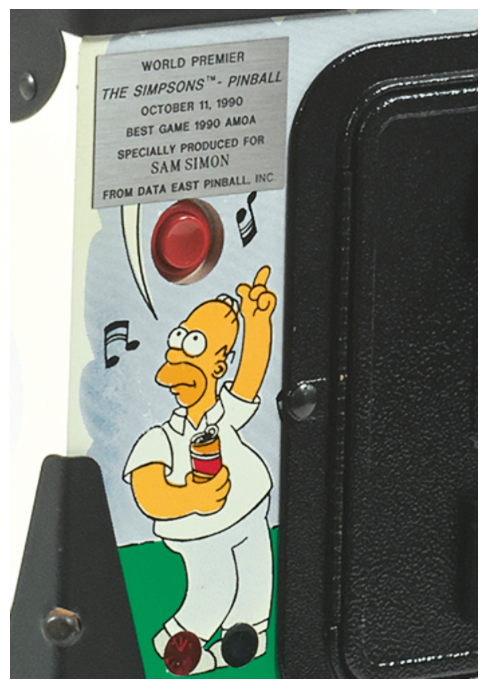 Other targets depict the Simpson family's favorites such as chocolate, pork rinds, and bowling. 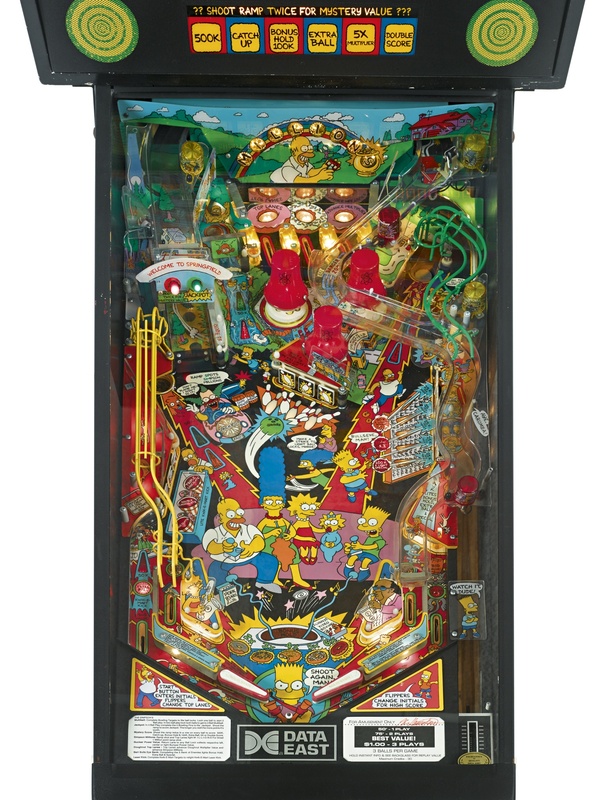 The machine is equipped with a Yamaha synthesizer that plays the theme song from the television series. 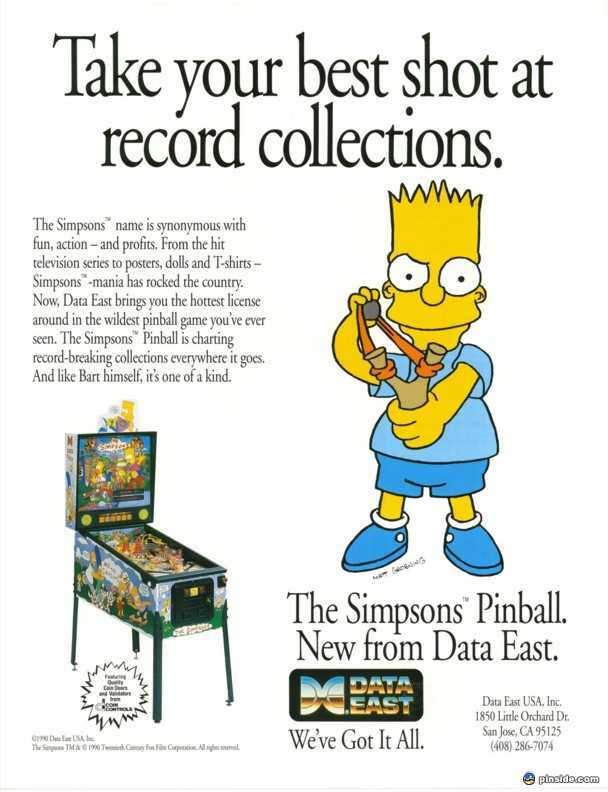 It also features a computerized voice system on an OKI sound chip, and the characters are constantly talking.